One of the more hotly contested races to keep an eye on this year is once again the battle for State Attorney General. – The job of New York Attorney General has been national in stature. And adding to the unpredictability of this race is Cuomo's request for a balanced ticket. Regional balance, (Upstate Downstate) ethnic balance, and gender balance. Harlem State Senator Bill Perkins is running for re-election this fall, and he could be in serious trouble. This situation is a nightmare for any incumbent. There apparently won’t be any split of the opposition vote after Larry Blackmon-a deputy city parks commissioner has backed out of the race, and there’s the question of the role Mayor Bloomberg will play. Directly or indirectly. Political consultant Basil Smikle –generally a well liked guy known for keeping the pulse of the community- will run against Perkins in the Democratic primary this fall – mainly challenging Perkins opposition to charter schools. Senator Perkins, what’s good for the goose is good for the gander. Why not give parents an option? With all due respect to the United Federation of Teachers, what wrong with parents having a choice on Charter Schools? It breaks my heart with the percentage of children that are not graduating from High School. Pick a city—select any state, and it is mostly children of color that are dropping out in record numbers. In New York Politics, it’s never too early to talk about the Race for Mayor. The last contest was only five months ago, but that’s not stopping us from looking ahead to 2013. A recent Marist Poll, with its excellent director of polling Dr. Lee M. Miringoff, had some very interesting numbers. 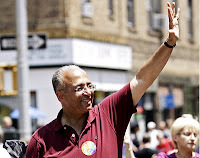 I was shocked to see despite the very strong finish of former City Comptroller Bill Thompson to Mayor Bloomberg, and another way to state this, Thompson’s much closer than expected loss—that Thompson in the Marist Poll is actually trailing Congressman Anthony Weiner. In this corner— an increasingly frustrated press corps. And in the other corner— Andrew Cuomo. The in all-likelihood next governor of New York State himself. The New York Times recently had an interesting piece on Cuomo titled: “Behind the Curtain, Cuomo Runs His Own P.R. Machine,” which focused on the fact that most—if not all of the interaction between Cuomo and members of the media are done by conference call. This race is certainly his to lose…but Cuomo is about to face a major test. To know Eliot Spitzer is to come to the realization that there was just no way he was ever going to spend the rest of his life on the sidelines. The former "Sheriff of Wall Street" talked to interviewer Peter Elkind, author of "Rough Justice: The Rise and Fall of Eliot Spitzer," in a piece currently in Fortune Magazine. More than just missing politics, Spitzer is described as talking "with friends and advisers about political targets." Not the Democratic icon Mario, but his son Andrew. Andrew’s time has arrived. To have ever covered the younger Cuomo—one would almost have to know this day would inevitably come. It was clear going back more than 10 years ago and meeting with him in his Washington office as HUD Secretary. Even in private, you could tell from his smile, his confidence, and his political moves. Yes, Andrew Cuomo’s ambition almost cost him his career when he challenged Carl McCall in the race for Governor—but even his critics have to admit the discipline Cuomo has shown rebounding since them. This race is Cuomo’s to lose. In the tabloids, I watch with interest the articles we as a society show the most interest in, the ones that are most emailed from one friend to another. Those articles are often the ones about total nonsense. Articles that are not going to put food on the table, help lower the high unemployment rate, pay the rent, or enlighten us in any serious way. I wonder why we don’t show the same interest when it comes to giving back to the community. It breaks my heart on a personal level that in NYC—and in cities across America—40 percent of children do not graduate from high school, and that figure is much higher in some states. Yes there are inequities in life all around us. But when we are done with the long line of pointing the finger at someone else….what are we doing about the problem? “We” in this case is defined as you and I. 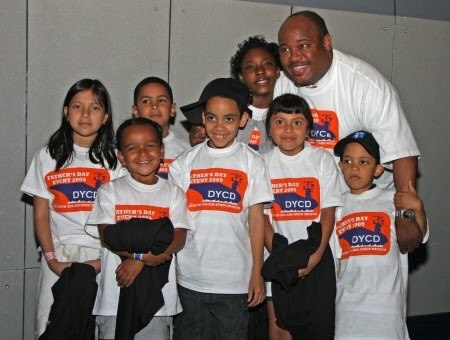 What are we doing to better our communities. Where is our passion for what really counts. Just Asking—-Senator Caroline Kennedy? Boy would Paterson like to hit the reset button. Alright, of course the slogan is borrowed from my friends at Page Six and the N.Y Post, (the Daily News is just as good) but seriously I’m just asking? Senator Kirsten Gillibrand is telegenic, and energetic, but does anyone believe Gillibrand is delivering for New York more than Caroline Kennedy would have? Does anyone believe Gillibrand has more access to the President Obama than Caroline would have?